Canada Was Not Always So Welcoming | Bonnie Reilly Schmidt, Ph.D.
Today, as the first Syrian refugees arrive in Canada, I am thinking of those Canadians who oppose the government’s plans to accept 25,000 refugees by February 2016. Social media has been full of racist comments as well as derogatory and discriminatory remarks about the refugees, Muslims, and immigrants generally. The roots of discriminatory attitudes toward ethnic groups run deep in Canada. In the past, fear, misinformation, and assumptions about racial difference often compromised the moral and religious ideals espoused by many Anglophones when it came to refugees and immigrants entering our country. Religious discrimination also has a long history. Specific groups such as Hindus, Buddhists, Catholics, and Jews have all been denied entry into Canada, or their rights as citizens ignored, at some point in our history because of their religious beliefs. 1885 – A head tax of $50.00 is imposed on Chinese immigrants hired by the Conservative government to work on the building of the Canadian Pacific Railway. The federal government passes a number of exclusionary laws that forces them to live in segregated areas and prohibits them from voting, serving on juries, and accessing professions. 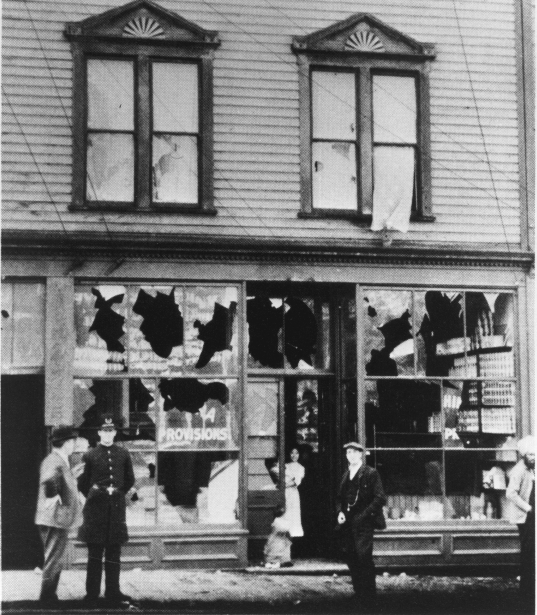 1907 – White Canadians carry out an “anti-Oriental” race riot in Vancouver damaging homes and businesses owned by Chinese and Japanese immigrants. 1910-1912 – Public resistance to 1300 African American homesteaders fleeing persecution in Oklahoma to settle on the prairies causes the federal government to prepare legislation banning all African Americans from entering Canada. The order-in-council is never acted on for fear of reprisal from the United States and African Americans residing in eastern Canada. 1914 – The Komagata Maru, with 376 passengers on board, is detained in Vancouver Harbour for two months before being denied entry to Canada. The ship and its passengers are ordered to return to Calcutta. The action was thought to stem the “brown invasion” of Canada. 1939 – Canada’s Liberal government refuses to grant sanctuary to 907 Jewish passengers fleeing Nazi Germany aboard the ocean liner St. Louis. 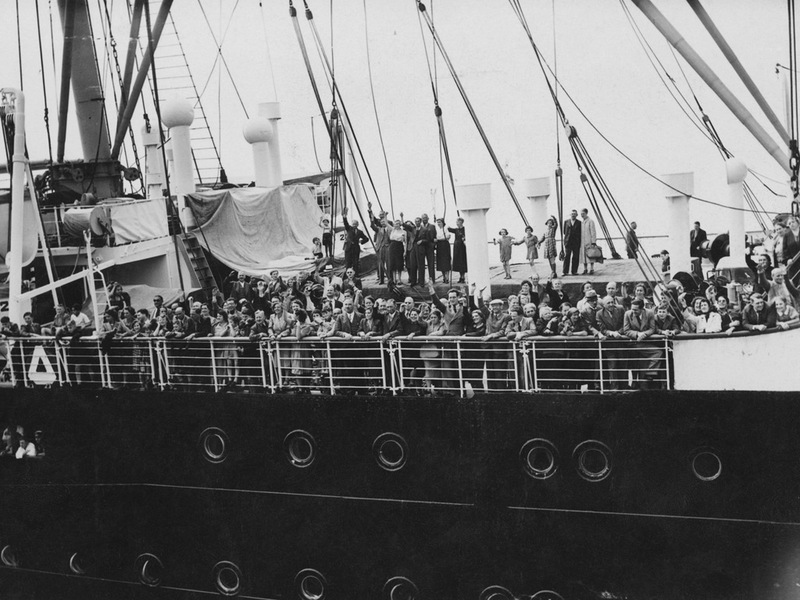 The ship is returned to Europe where 254 of the passengers eventually perish in concentration camps. Passengers aboard the St. Louis, 1939. 1942 – Following the bombing of Pearl Harbour, almost 22,000 people of Japanese descent, most born in Canada, are sent to internment camps in British Columbia and Alberta. Considered “enemy aliens,” their property and assets are seized and sold at public auction. 1975 –Thousands of refugees flee the advance of communist rule in Vietnam, Laos and Cambodia. At least half a million die in boats trying to escape to neighbouring countries and the safety of refugee camps. Between 1975 and 1976, Canada accepts 5,000 “boat people” as they came to be known. Another 50,000 immigrate between 1979 and 1980. 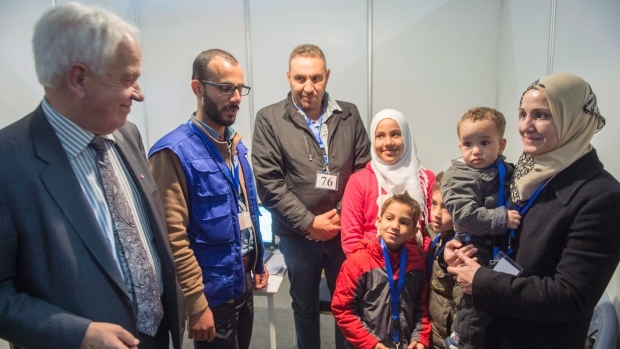 In total, Canada welcomes almost 60,000 refugees from the region. My grandfather was a 16-year-old Catholic, Romanian farm labourer fleeing conscription in the Second Balkan War in 1913 when he immigrated to Canada with $30.00 in his pocket. I’m grateful that those Canadians who actively resisted the arrival of immigrants in 1913 did not prevail. Hundreds of thousands of others like my grandfather have successfully risen to the challenge of adapting to a new language, a new country, and a new way of life. History shows us that xenophobia accomplishes little, but inclusion and acceptance can accomplish so much. Today, I’m especially proud to be a Canadian.